Cando Flexible Hand Bar Lightweight And Portable. 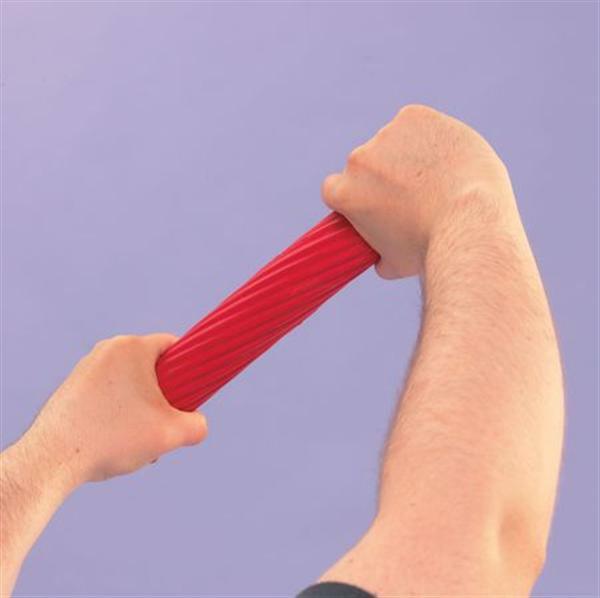 A lightweight, portable exerciser to strengthen muscles in the hand, wrist and shoulder. Promotes co-ordination and increases ROM. The removable flexion band adds the ability to perform finger extensions. Can be used to perform oscillation movements for neuromuscular and balance training, and for soft tissue and joint mobilisation. Includes instruction manual. Available in five resistances in five different colours. Length 30cm (12"). Diameter 5cm (2").